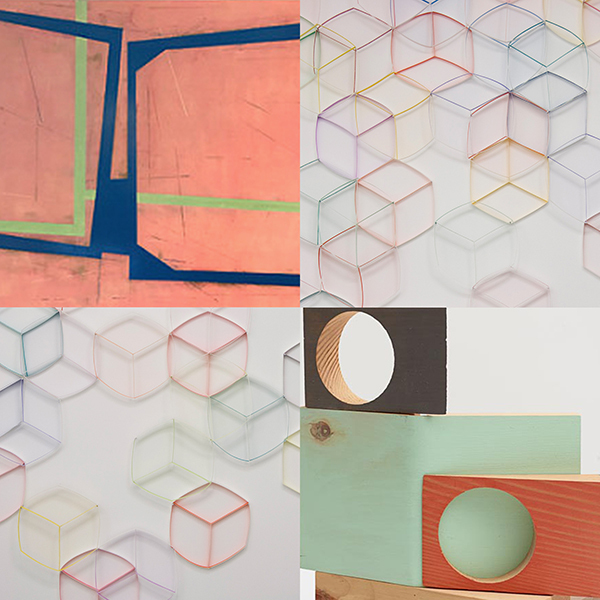 MAC is pleased to present PLANE SITE, an exhibition of works by artists Steven Baris, Jim Osman and Alex Paik. Artists have had a complicated relationship with the planar surface for as long as people have been painting and making objects. Much of art history is concerned with describing the technical inventions that, over millennia, permitted artists to break through the planar surface to the image. The artists in this exhibition work through the plane as a transparent surface, transform the plane with color and manipulate the plane, moving it through time and space. Steven Baris is a Philadelphia-based painter. In his Mobility of Frames series he references architectural space, which we experience temporally - we move through built environments and apprehend through a succession of frames. Similarly Baris’ paintings nest frames within the implicit framed boundaries of the paintings themselves, inviting the viewer to move through the depicted space. The frames themselves reference the massive superstructures that inhabit the suburban landscape. Jim Osman, a New York-based sculptor, uses furniture and architectural forms to imply figural presence and personal space. Through his surface treatments, exploration of scale and use of color, Osman makes sculptures that magnify the haptic experience of the plane for the viewer. Alex Paik, a Brooklyn-based artist, works physically with the planar surface, in his case, paper - bending and folding it, making it into something architectural, repeatable, and modular. The rhythm of the repeating modules tie into his interest in music, especially fugues. The work takes on a quality of unfolding over time, giving an impression of an ever expanding universe.